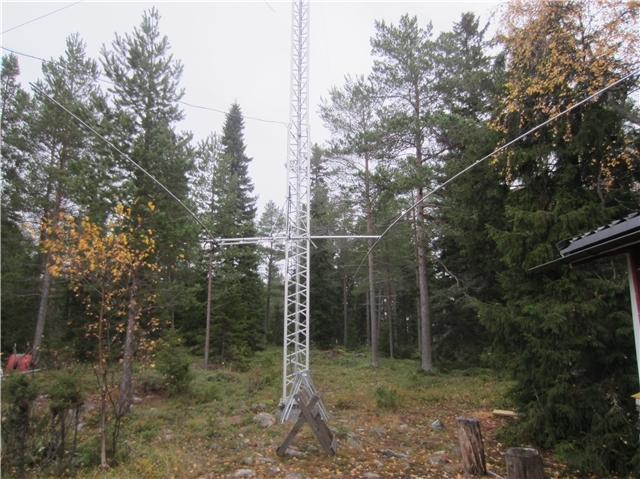 The 2 element 30m yagi was designed from scratch. 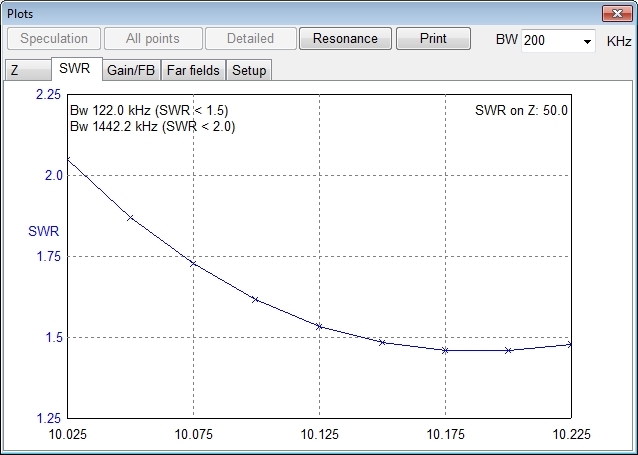 The antenna has a 3,6 m (11.7 ft) boom and is hairpin matched. 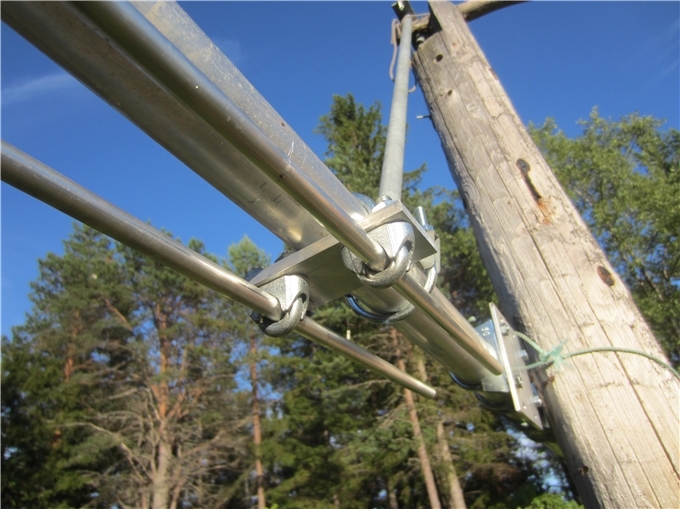 The antenna will be placed at 28-29 m (92 ft) height. 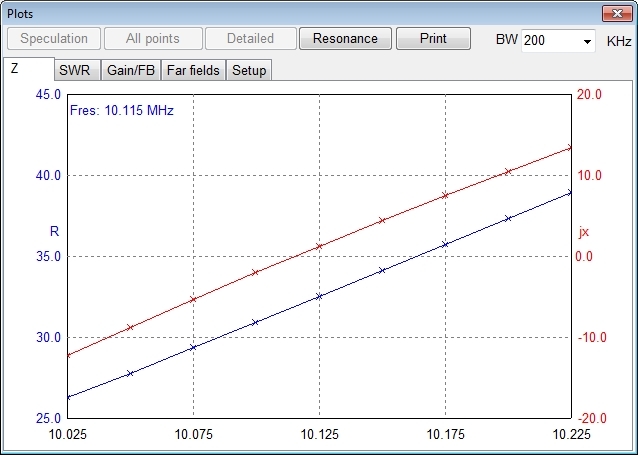 The RF-choke is 8 turns of RG213 on a 220mm (8-2/3″) plastic tube. 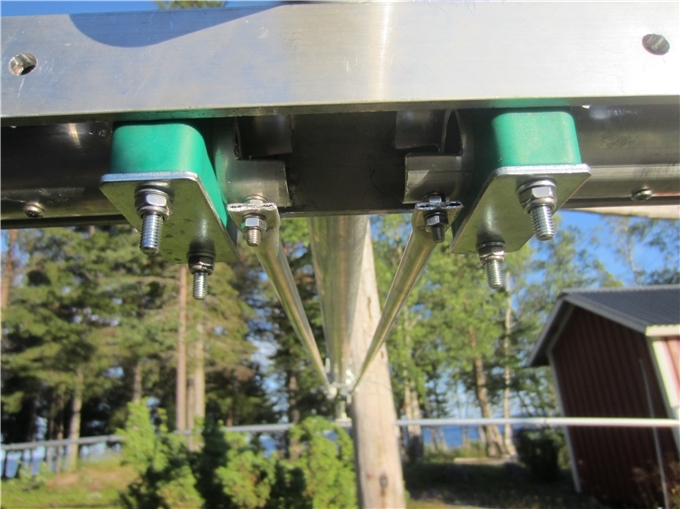 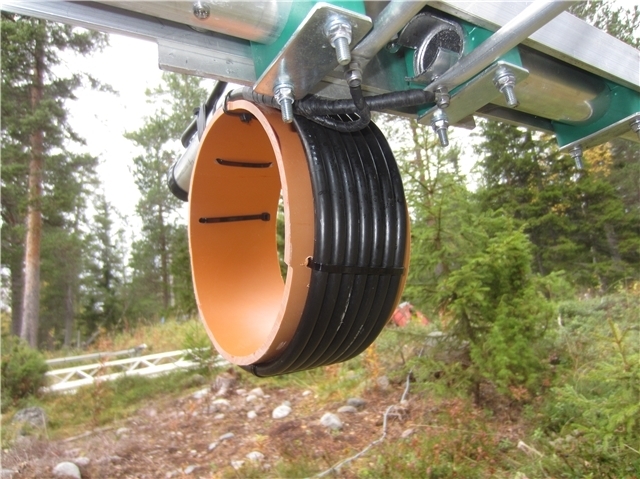 As you can see oon the picture below the 40 mm inner sections are reinforced by a smaller tube inside. 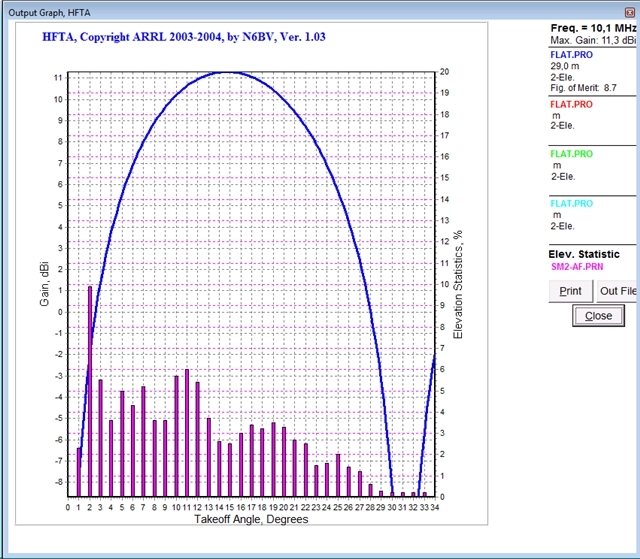 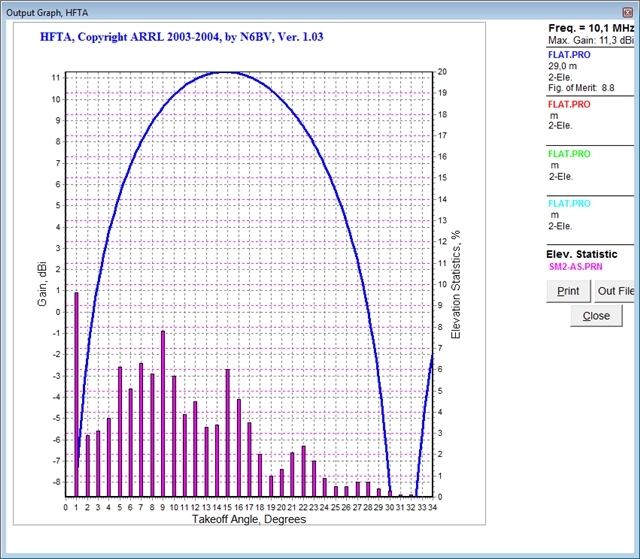 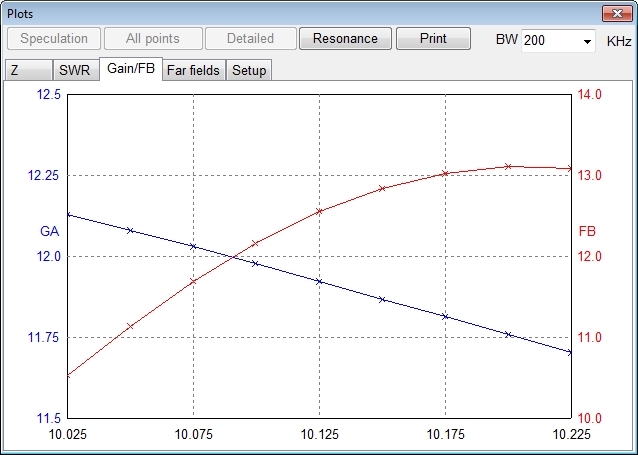 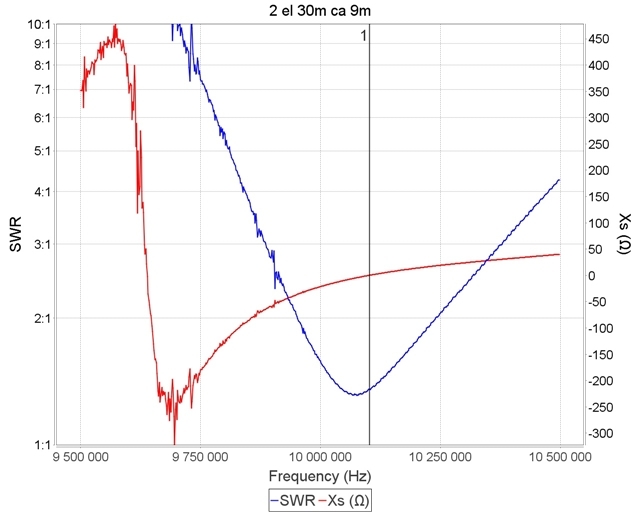 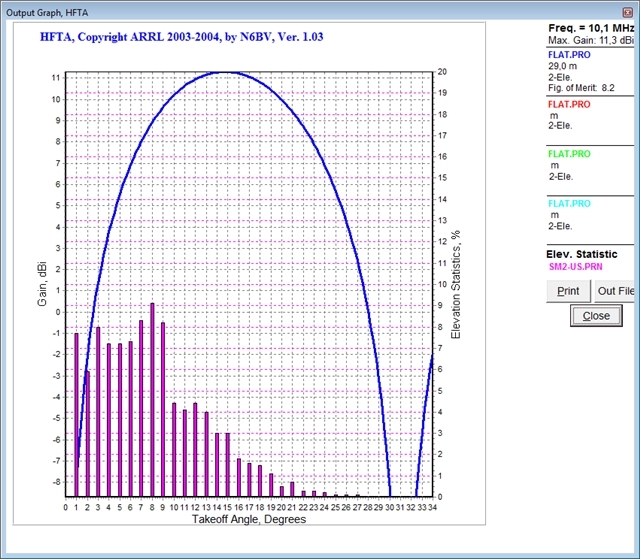 VNA plots with the antenna at 9 m (30 ft). 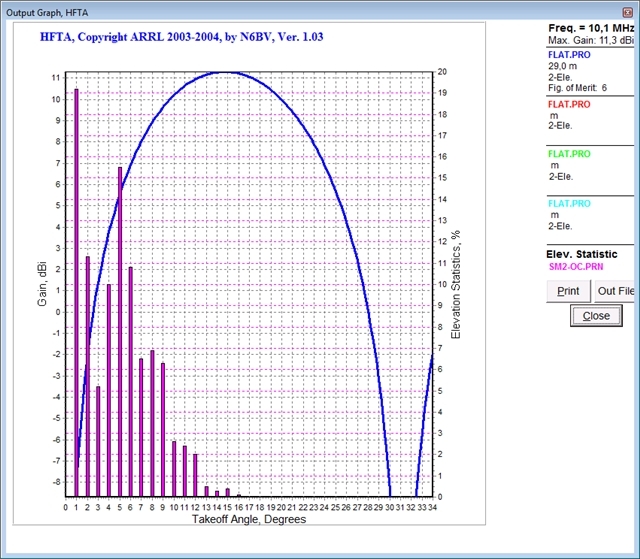 HTFA plots, looks resonable for all paths.